SAN GABRIEL — Two months after being elected, Chin Ho Liao took office as a member of the San Gabriel City Council on Tuesday. On Monday, the City Council voted 3-1 in favor of seating Liao, whose residency in San Gabriel had been called into question. Voting in the majority were Mayor Juli Costanzo and Councilmembers Jason Pu and Kevin Sawkins, with Vice Mayor John Harrington dissenting. Liao was the second-highest vote winner in the March 5 election for three seats on the council. Also elected were incumbent Sawkins and challenger Pu. Despite Liao’s victory — and in violation of state law, according to APALC — the previous council voted against seating him as a result of a single complaint it received regarding his residency qualifications. The council, which included two defeated incumbents, Mario De La Torre and David Gutierrez, also voted to rule on the complaint itself. Liao’s supporters said the new council had a conflict of interest since Costanzo and Harrington had endorsed De La Torre and Gutierrez. The complaint was lodged by local resident Fred Paine and his attorney, Arnold Alvarez-Glasman, who claimed that Liao’s primary residence was outside the city limits, and that he did not plan to stay in his San Gabriel apartment if he lost the election. Costanzo faulted Liao for moving to San Gabriel six months before the election, but said it was not illegal to do so. On April 25-27, the council held a three-day hearing to hear testimony and examine evidence regarding Liao’s eligibility. “Based on overwhelming evidence in favor of Liao, the council correctly concluded that Liao is qualified to assume the office to which he was duly elected,” APALC said. “APALC took Mr. Liao’s case because it involves two compelling, intersecting stories,” said Eugene Lee, voting rights project director at APALC. 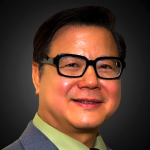 “This is Mr. Liao’s personal story as an immigrant who has served the community of San Gabriel for the past 24 years through his involvement with nonprofit and civic organizations, and wishes only to serve the community further through the American tradition of public service. “And this is the story of San Gabriel and the San Gabriel Valley region, an area marked by massive demographic changes during the past quarter-century, resulting in a population of Asian Americans and other immigrants who are increasingly participating in the American tradition of democracy.